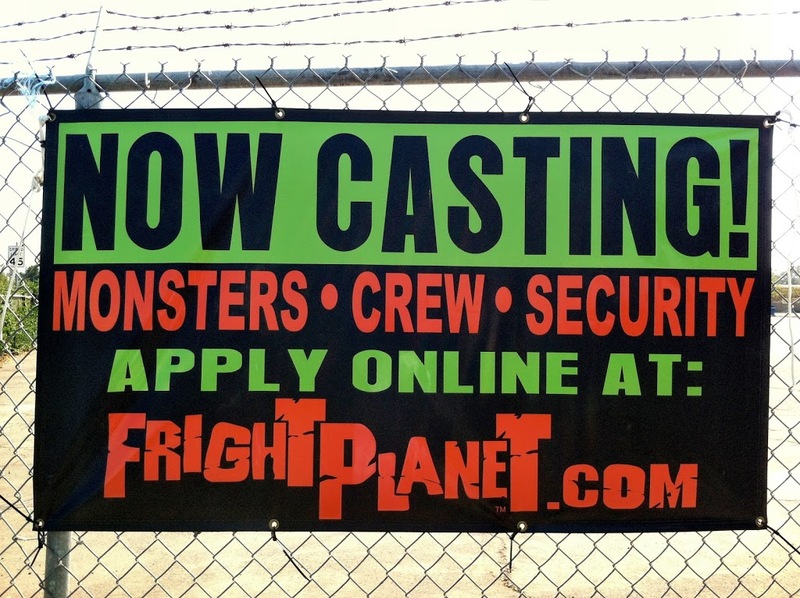 Fright Planet plans to host their haunted theme park at Cal Expo this October and they’re casting for monsters, crew, and security. Individuals can apply for acting roles, guest services, or to be part of either part of the build or tech crew. Fright Planet is a theatrical based Haunted Theme Park show run by volunteers; thus, there is an understanding it is a non-paying job. There are many incentives such as free admission tickets, t-shirts, hoodies, field trips, party nights, plus dinner nightly for valued cast members. Additionally, stipends and/or perks may be added and will be announced at the casting call or during the season. Participants will also make a lot of long lasting friends and be in a fun, safe, and memorable environment. 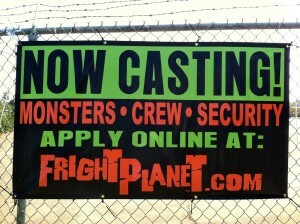 Visit www.frightplanet.com for more information. September 3, 2012 in Cal Expo, Fun, Jobs.